Arizona Accurate offers Peoria honest, dependable service for the best price around. We get it done right…at the right price. Are you tired of seeing air conditioning repair estimates that make your eyes bulge? At Arizona Accurate, we don’t think you should have to put yourself into financial ruin just to keep your house cool. That’s why we’re offering new specials and deals all the time. Give us a call at 602-547-1598 to find out how we can save you money on air conditioning repair and installation in Peoria. We are Peoria’s expert air conditioning repair company. If you have an issue you just can’t seem to figure out, give Arizona Accurate a call. Our experienced technicians can root out any problem that could go wrong with an AC unit, and we’ve got the experience to fix it right! Arizona Accurate proudly stands behind all the work we perform. You’ll get an honest quote, a prompt response and quality work that’s guaranteed to hold up. When you need air conditioning repair in Peoria, be sure to give us a call at 602-547-1598. Get an honest, ethical quote from a fully licensed and bonded contractor. If it’s time for a new air conditioner, Arizona Accurate will do what it takes to make sure you get the unit you want at the best price possible. Having an air conditioner install done is no small task or investment. That’s why it’s important to choose a fully licensed and bonded company with decades of experience. 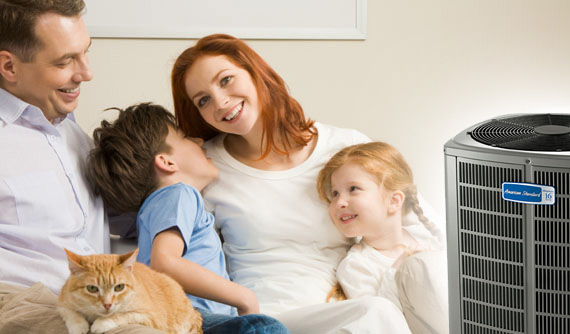 We only carry the most dependable and efficient air conditioner brands. Quality products, top-notch workmanship and reliability. That’s what you get when you choose Arizona Accurate. Call us for a quote today at 602-547-1598! There’s no job we can’t handle. Everything from minor repairs and tune ups to major air conditioning repair and installation is done to the highest standards when you choose Arizona Accurate. We can work on any brand of air conditioner and have access to a huge inventory of parts. We offer the top brands of air conditioners and parts to ensure your repair or installation will work well for you for years. Maintenance: Avoid major problems down the road with periodic maintenance. We can send out one of our experienced technicians to take care of the upkeep and offer you the peace of mind in knowing your unit is running strong. Repair: We’ll get the job done to the highest standards the first time. Give us a call when your AC is broken down, acting up or not cooling properly. We’ll get you up and running in no time. Installation: Looking for a new unit? Make sure you get the best brand, craftsmanship and guaranteed work offered by Arizona Accurate. Let us give you a quote on air conditioning installation for your Peoria home. Call to Learn About Our Rebates And Discounts Now! If you’re looking for a great deal, look no further than Arizona Accurate. We believe in providing honest work at an honest price. We want to build long term relationships with our customers and hope you’ll tell your friends all about us. Give Arizona Accurate a call today at 602-547-1598 to learn more about what makes us Peoria’s leading provider of air conditioning repair and installation services! Are any of your current HVAC system units too noisy? Are there rooms that are always too hot or too cold? Do you want a unit that is easy to maintain? Maybe a filter that is easy to replace? Is your current outdoor unit unattractive? Is your current furnace’s short cycle constantly on or off?